Where do you get the Wilton 2D nozzle? Love your hydrangea frosting. This was requested by a couple on their wedding. I would like to ask on your recipe of cream cheese frosting, approximately how many cupcakes can be covered with this design. Thank you so many much. 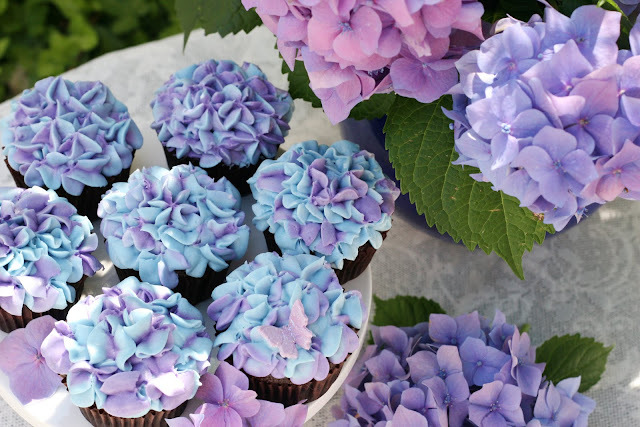 I love these flowers amd cupcakes. Good job glory. I subscribed a long time ago neveractually looked at a your baking very pretty. 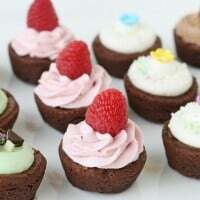 Thank you for continuing to provide such gorgeous treat ideas and easy to follow explanations Glory! Pingback: Flower Cupcakes: Decorate to Celebrate! 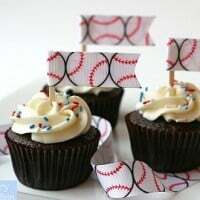 Oh wow, these are the most beautiful cupcakes I’ve ever seen! What a great idea for decoration, very inspiring. Will definitely try to make. Where did you get the little butterflies you added to the top? I didn’t have a 2D tip, so I used a 224. It’s a much smaller star. I covered the whole cupcake in all little blue flowers, then did the 1/2 blue and 1/2 purple. This gave the hydrangea a lot of depth. These were a big hit. Thanks for the instructions! Thank you so much for the step by step instructions. You made it so easy! I got pretty close to your colors using Wilton Violet and Wilton Royal Blue I just went very slowly adding little by little til I got it right. I don’t think i had as pretty petal centers as you did. Every time I picked up the tip to make a new petal I couldn’t get it to look like yours. It looked a little ragged in the center, not smooth like yours. Any tips are appreciated for next time! 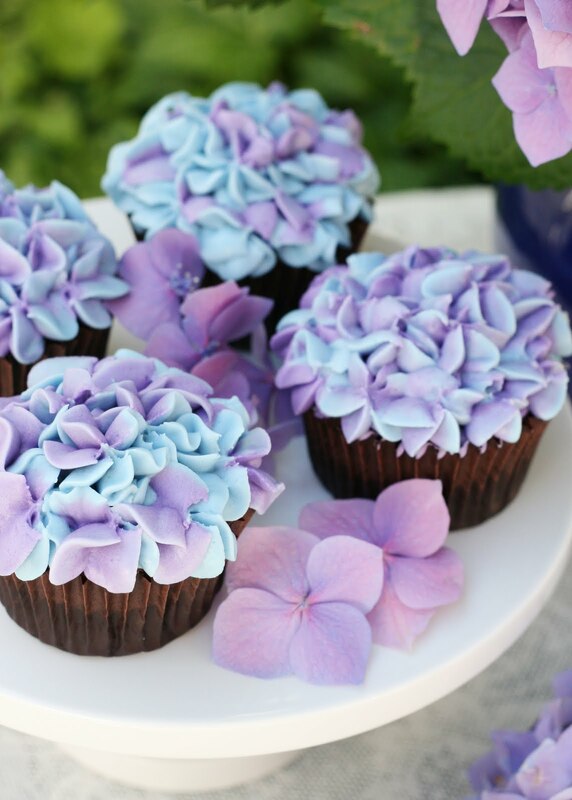 I made these and couldn’t believe how easy the flowers were to pipe on the cupcakes and I’m not a baker! 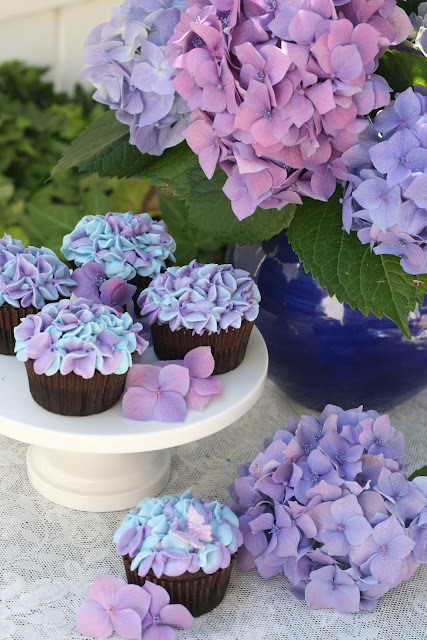 I used Wilton sky blue and plain purple and they looked just like Glory’s. I did find that I had to practice piping the flowers and I found if I made larger petals they looked better. I’m making these for my daughter’s Graduation party, can’t wait to hear all the compliments. Thanks Glory! 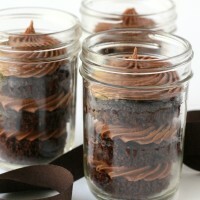 Oh and the chocolate cupcakes were wonderful! 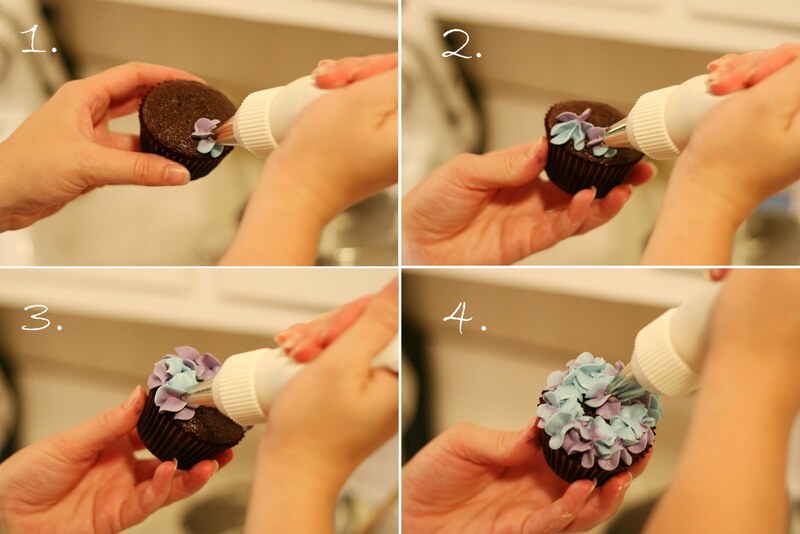 Question: what frosting tip did you do for the frosting? They are too pretty to eat. Georgeous!! 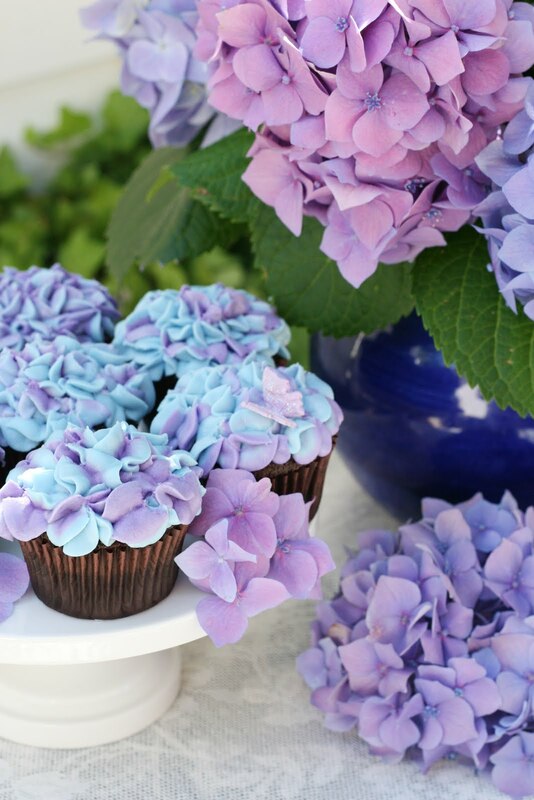 May I ask what the tip name is for the Hydrangea cupcakes…they are just lovely! Beautiful!! 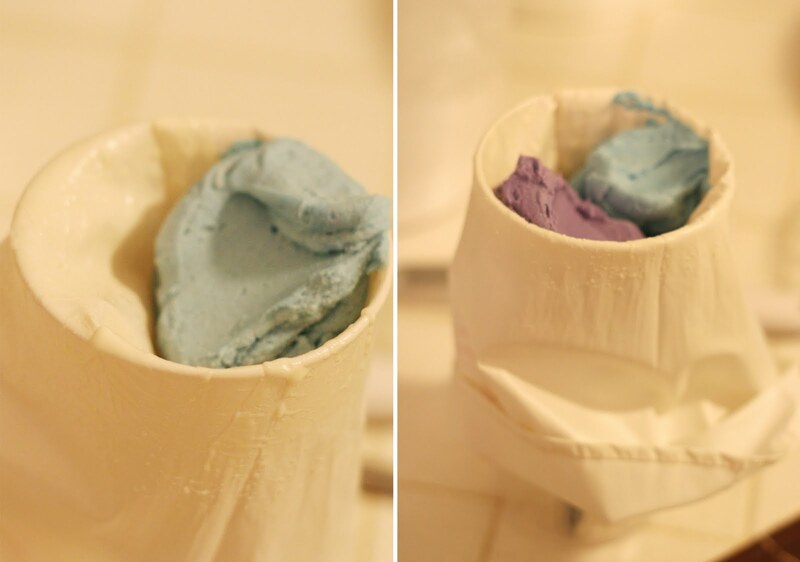 Can’t wait to make! !